When local artist Dyana Hesson discovered that local chef Michael Rusconi was her cousin through the search for her birth parents, a fabulous relationship was forged. Both Hesson and Rusconi are artists in their own right—and have shared many stories and like-minded interests in the past five years since they became acquainted. 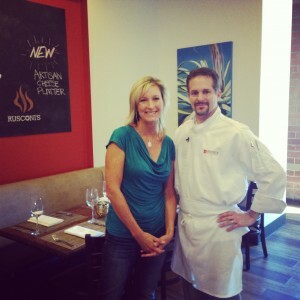 In fact, Rusconi has adorned the walls of Rusconi’s American Kitchen with Hesson’s work and now, in celebration of Hesson’s retrospective exhibit “Return to the Desert, Celebrating the First 25 years,” featured at the Desert Botanical Garden Jan. 29-May 22, the two are teaming up for a wine dinner and book signing. Includes five courses of Rusconi’s incredible edibles paired with Laeticia’s wines. Reservations will fill up fast, reserve by calling 480-483-0009.